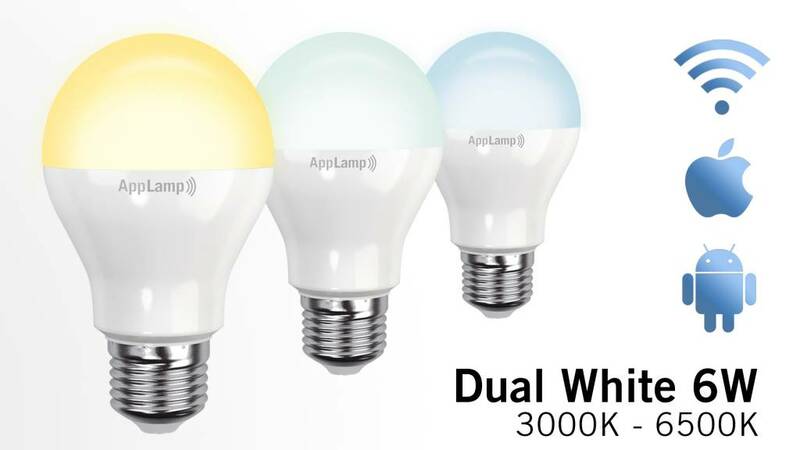 Dual White Wifi LED bulb with 6 Watt LED. Dimmable, white shade configurable from warm white to daylight. 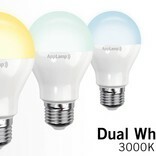 Equivalent to regular 60 Watt bulb. Together with the Wifi Box (option) this LED lamp is fully controllable by the APP on your smartphone or tablet. But you can also (or solely) use a 4-channel Dual White remote control (option). With a consumption of only 7.5 Watt (6 Watt LEDs) you still get the light performance from a normal 60 watt bulb while saving up to 80% energy. The Wifi LED lamps also have a life expectancy of 50,000 hours or up to 25 years of shining joy!